Here you can merge any photos with any videos! In Facegood it is very easy to record a video, cut particular regions (for example, eyes or mouth), and merge them with any image you want! Talking cat, singing hamburger or hot Angelina Jolie — they all can congratulate your friends on any occasion! With Facegood you can create touching love declaration or damned funny videos and share them with your friends on Facebook, Twitter, Instagram, Vkontakte! ★ Merge any photos with any videos in a simple and convenient application! ★ Make your video even more funny – just add any audio file! ★ Create unusual funny videos and share them with your friends! ★ Put together several Facegood-videos in one funny movie and show it to the whole world! 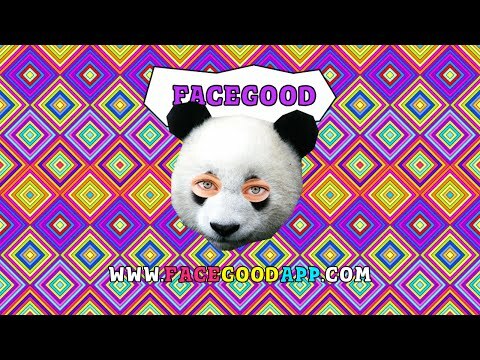 Don't wait, make your own Facegood!